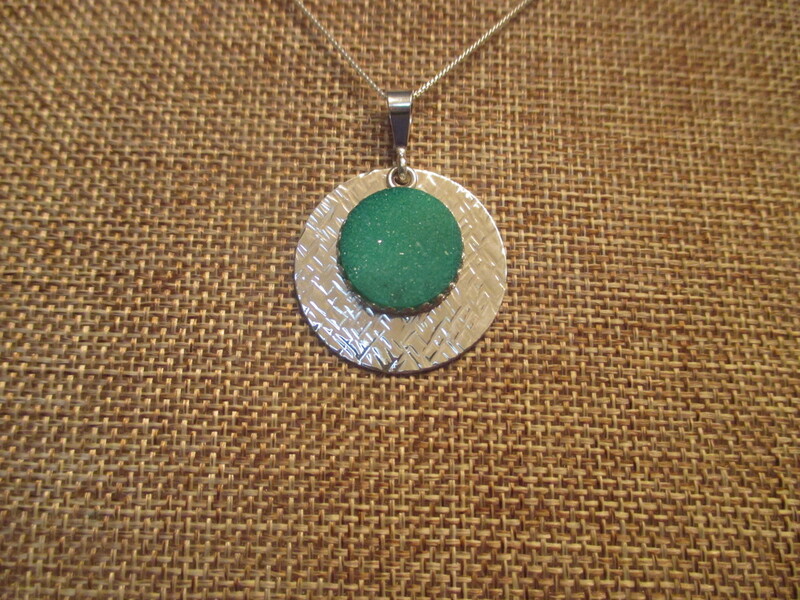 This necklace has a 1 1/8" hammered sterling silver pendant that has a textured design. The stone is a beautiful green Drusy . It is 16mm round and set in a bezel setting. The sterling silver disc and Drusy are put together with the sterling silver bail to create movement when worn. I think the color is a light Kelly Green in my opinion. The pendant measures 1 1/2" long . A 20" sterling silver chain is included.